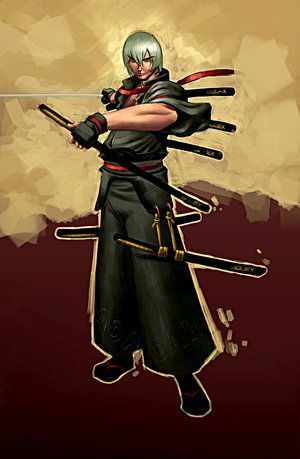 Weapon: Differs from appearance, utilizes a single katana of standard appearance measuring .7 meters in length. This blade can be split into two at will in a duplication like manner. Personality: Hayato runs by an obvious honor code. He will bow before engaging with his opponent and will gladly state his capabilities mid-fight without much question. Granted, he is skillful in his ways of deception and understanding the nature of battle itself. He cares not whether he wins or loses, as his universal honor relies on his knowledge opposed to feats. Any and all weapon techniques.